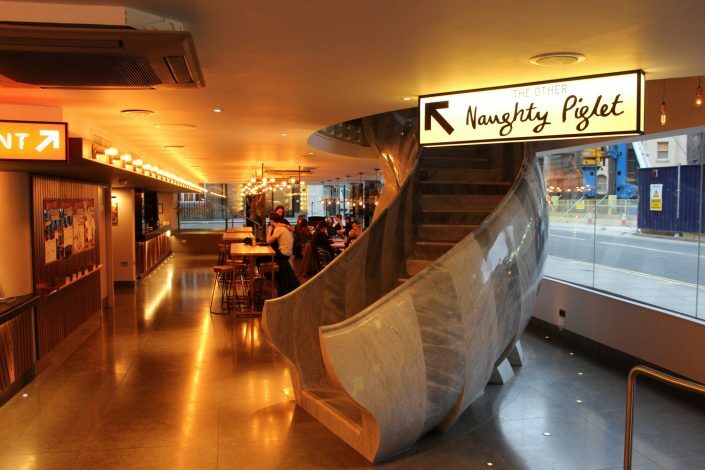 Our ability to produce the majority of our signage in- house enables us to efficiently control the quality and costs. It also provides assurances that we are able to guarantee the quality of our work. Mood Signs designs and manufactures bespoke signs to a high industry standard. 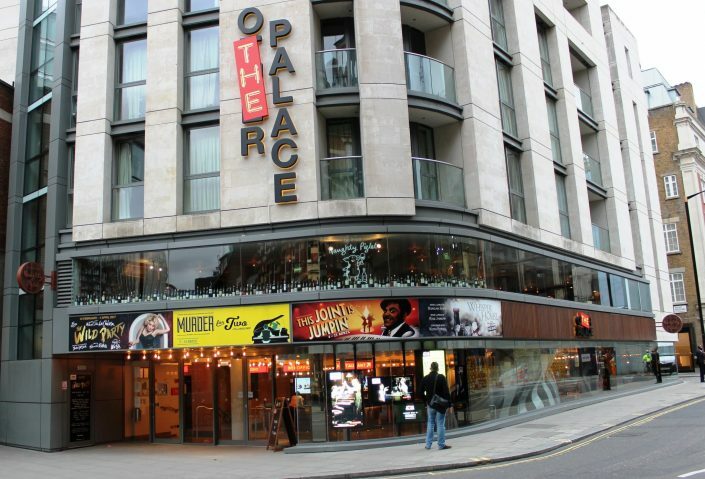 The most recent addition to Sir Andrew Lloyd Webber’s Really Useful Theatres Group, The Other Palace Theatre opened in 2017 as a home for musical theatre. In the heart of London’s West End, the theatre strives to discover, develop and promote new musicals and the next generation of theatre-makers and producers. Brief: We were delighted to work with such a prestigious group on what was our first theatre signage rebrand project. 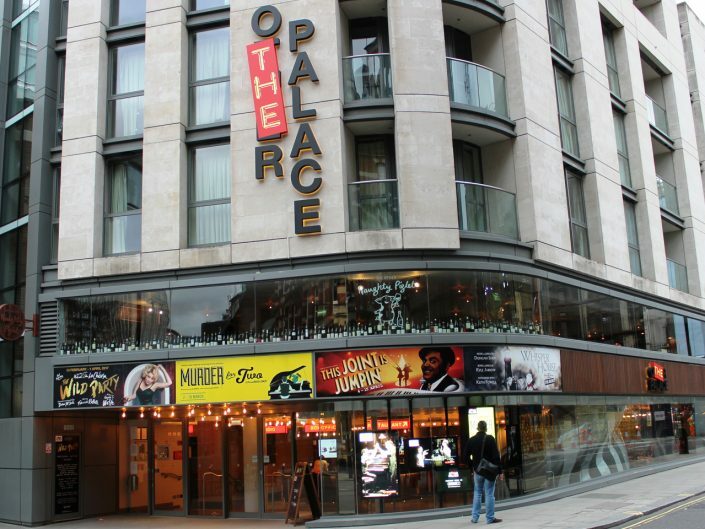 Working in conjunction with one of London’s leading design agencies our remit was to survey, design, manufacture and install a wide selection of bespoke signage for the internal and external areas of theatre. 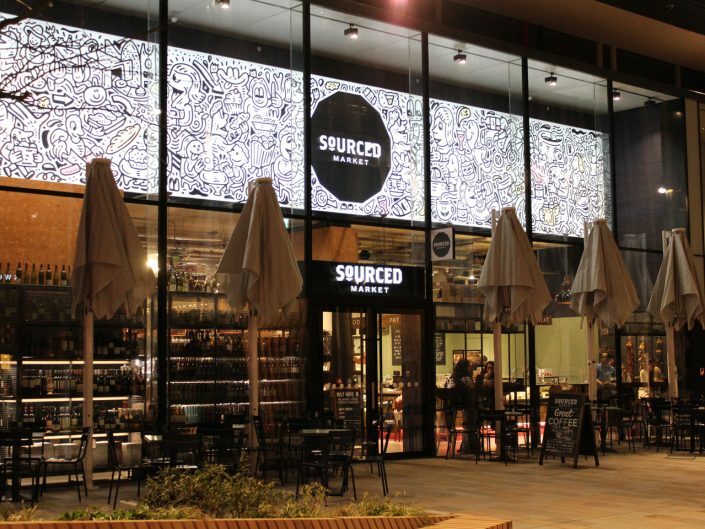 The requirements of our client enabled us to “play to our strengths”, using the very best materials to manufacture beautiful bespoke illuminated signage in the heart of London’s West End. 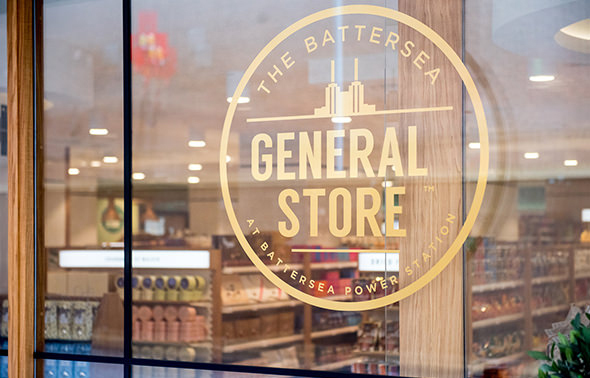 Our client was delighted with the end results and despite our six week lead-time, both the internal and external signage was delivered on time and within budget. Technical: The Other Palace required a range of bespoke interior and exterior signage; both illuminated and non-illuminated pieces including the following. 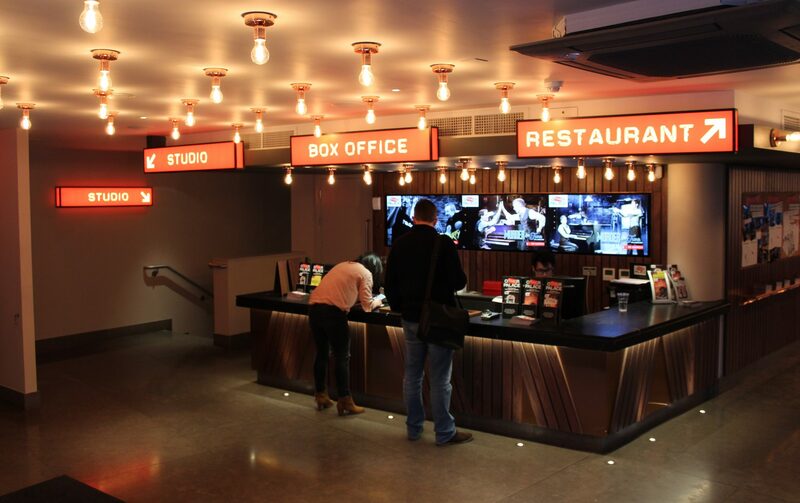 The theatre’s eye-catching way-finding signage was constructed with LED internally illuminated aluminium framed acrylic. 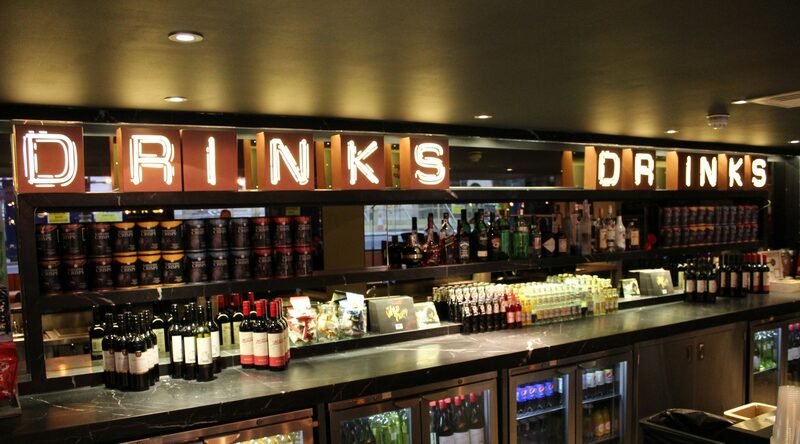 The branded ‘DRINKS’ signage that illuminates the bar area was made with individual aluminium profile cut light boxes. They are internally lit with LEDs and backed up with opal acrylic which produces maximum haze, therefore diffusing light evenly. 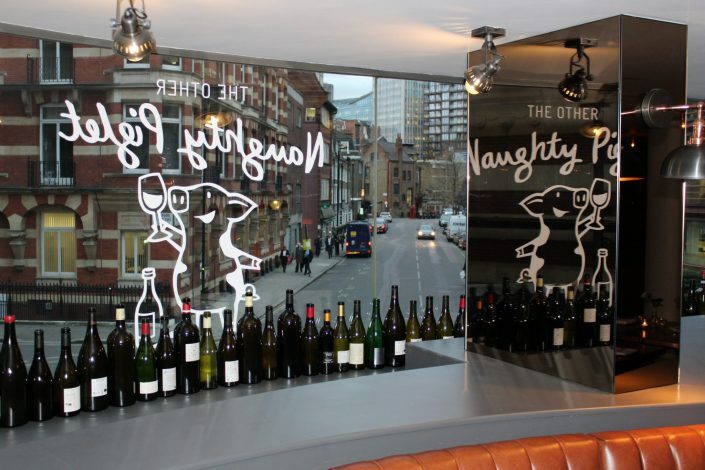 The strikingly sharp window advertising graphics were printed on reverse applied window graphic vinyl. 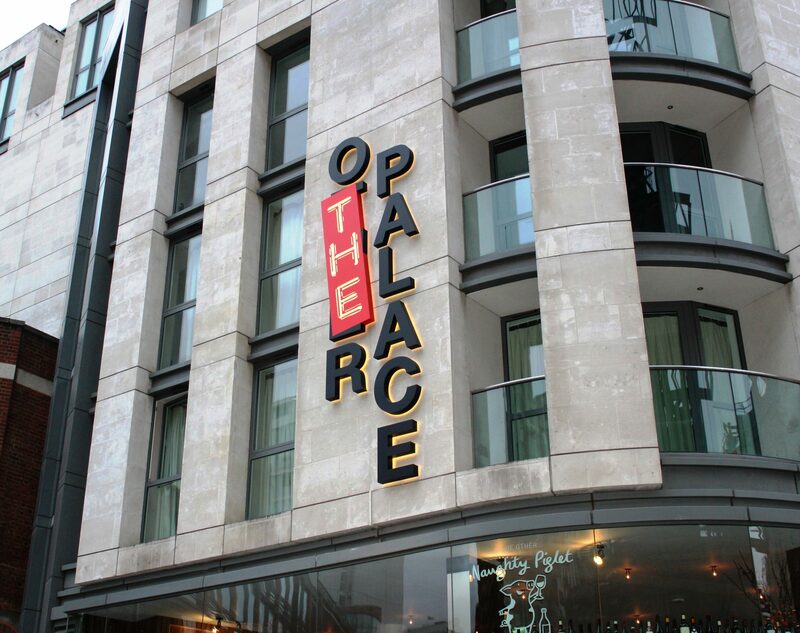 The Other Palace logo signage was produced with built-up letters using warm white halo illuminated LEDs on standoff locators. 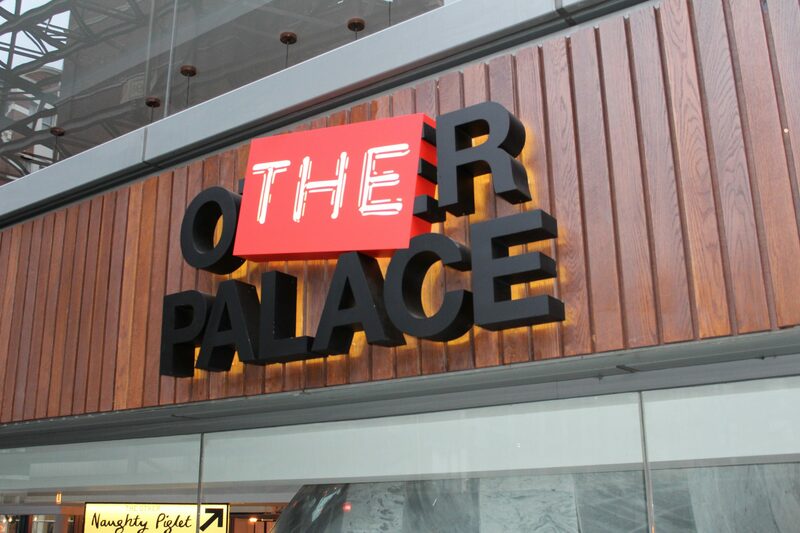 Lastly the non-illuminated projecting sign was fabricated with wood effect matte laminated digital prints to faces, 3mm profile cut letters on standoff locators. 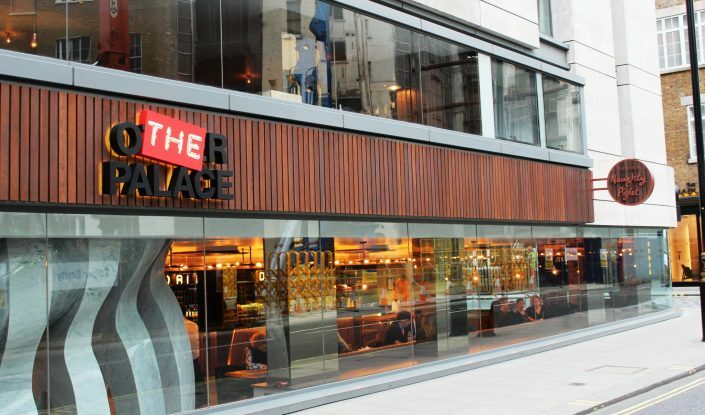 External and internal signage using pioneering sign-making techniques. 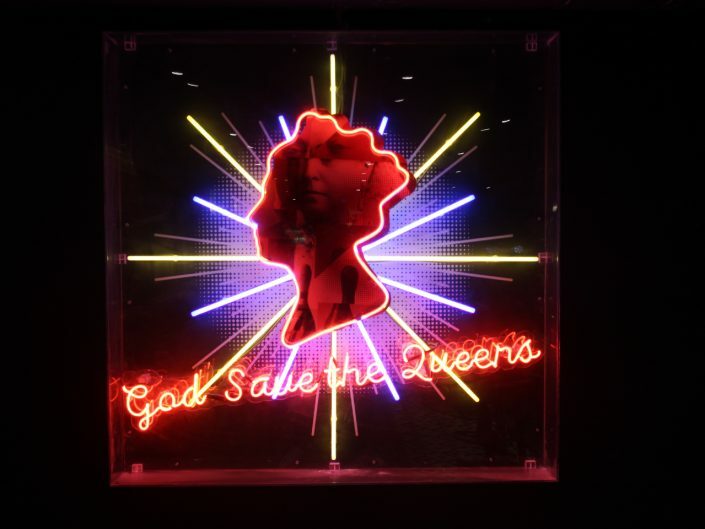 Queens required a range of stunning bespoke interior and exterior signage and illuminated neon artwork. A theatre signage project requiring a wide selection of bespoke signage for internal and external areas.